We're thrilled to have been one of the 8 hub venues involved in the provocative UK-wide event by Jeremy Deller and 14-18 NOW, which took place today, 1 July 2016. 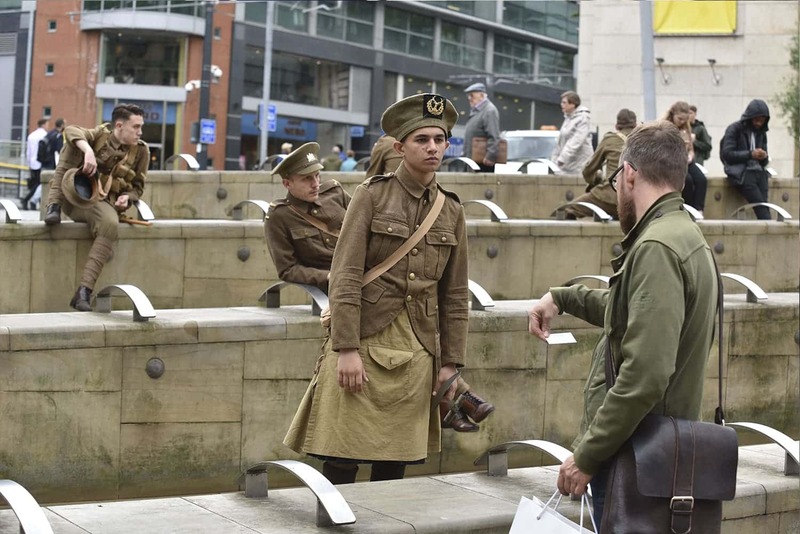 'we're here because we're here' was a modern memorial to mark the centenary of the Battle of the Somme, in which around 1500 voluntary participants dressed in First World War uniform appeared unexpectedly in locations across the UK. 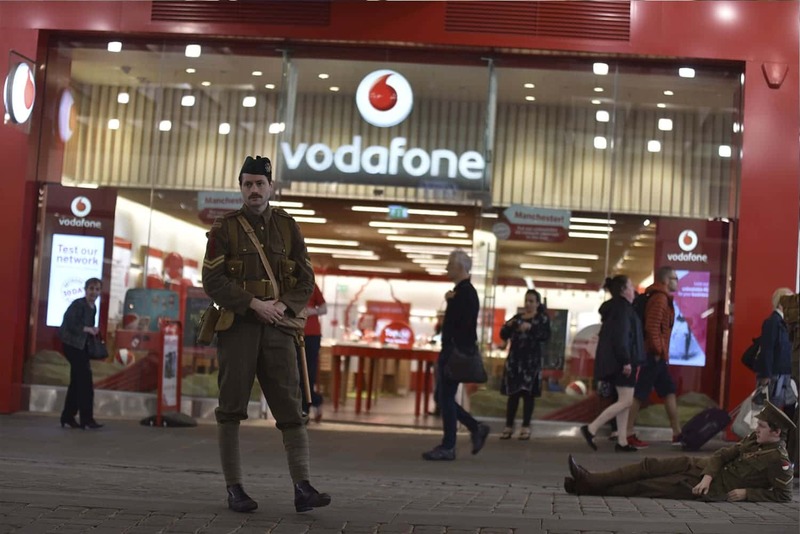 Commissioned by 14-18 NOW, the UK’s arts programme for the First World War centenary and created by Turner Prize-winning artist Jeremy Deller, in collaboration with Rufus Norris, Director of the National Theatre, each participant represented an individual soldier who was killed on 1 July 1916. The work is partly inspired by tales of sightings during and after the First World War by people who believed they had seen a dead loved one. 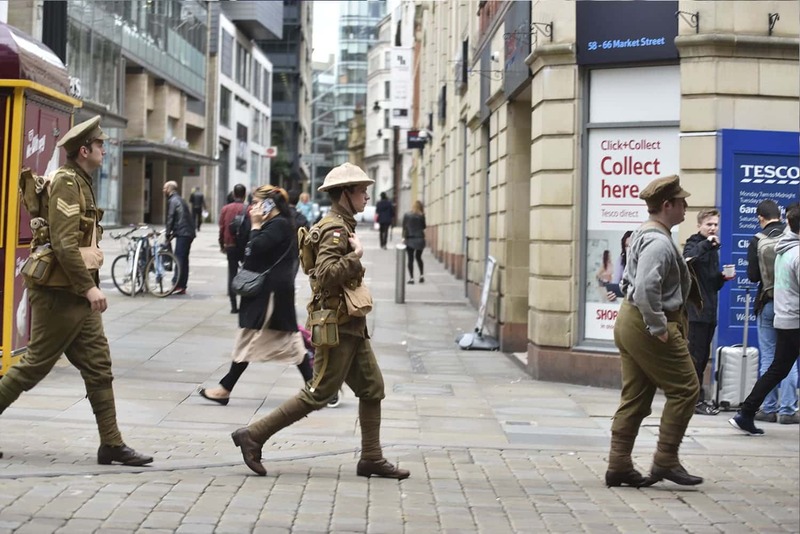 In Manchester and across the North West, hundreds of volunteers led by the Royal Exchange and our partners Bolton Octagon, LeftCoast (Blackpool), Oldham Coliseum and Storyhouse (Chester) took to the streets from 7am-7pm, to serve as a reminder to all they encountered of the 19,240 men who were killed 100 years ago the same day; the first day of the Battle of the Somme. Covering the width and breadth of the UK, from Shetland to Penzance, participants visited shopping centres, train stations, beaches, car parks and high streets – taking the memorial to contemporary Britain and bringing an intervention into people’s daily lives where it was least expected. The participants wore historically accurate uniforms, representing 15 of the regiments that suffered losses in the first day of the Battle. The soldiers did not speak, but at points throughout the day would sing the song ‘we’re here because we’re here’, which was sung in the trenches during the First World War. They handed out cards to members of the public with the name and regiment of the soldier they represented, and, where known, the age of the soldier when he died on 1 July 1916. The volunteers were men aged between 16-52, reflecting the men who would have fought in the Somme. They were not trained actors but come from a range of professions, including a sheep farmer, flight attendant, doctor, lawyer, social worker, shop assistant, portrait artist and GCSE student. They came together to rehearse in theatres across the UK over a month-long period in the run-up to the performance. ‘we’re here because we’re here’ is one of the largest arts participation projects ever staged in the UK, with hundreds of additional volunteers working behind the scenes. The project breaks new ground in terms of its scale, breadth, reach and the number of partners and participants involved. This is the first time three national theatres have worked together on a joint project, and the first time so many theatres have worked together on a UK-wide participation project.  The Royal Exchange was one of 27 organisations which collaborated on ‘we’re here because we’re here’. It was produced by Birmingham Repertory Theatre and the National Theatre, working in close collaboration with partners including: Lyric Theatre Belfast, National Theatre of Scotland, National Theatre Wales, Northern Stage, Playhouse Derry-Londonderry, Salisbury Playhouse, Sheffield Theatres and Theatre Royal Plymouth. The project was supported by: Aberystwyth Arts Centre, TheBelgrade Theatre, Bolton Octagon, Bristol Old Vic, Storyhouse, Left Coast, Leicester Curve, Nuffield Theatre, Oldham Coliseum, Pontio, Shetland Arts, Sutton Coldfield College BMet, The Artrix Bromsgrove, The Garrick Lichfield and Volcano. ‘we’re here because we’re here’was made possible by an Ambition for Excellence Award from Arts Council England, with additional support from Paul Hamlyn Foundation,Creative Scotlandand Art Fund. 14-18 NOW is principally funded by the National Lottery through the Heritage Lottery Fund and Arts Council England, and by the Department for Culture, Media and Sport. 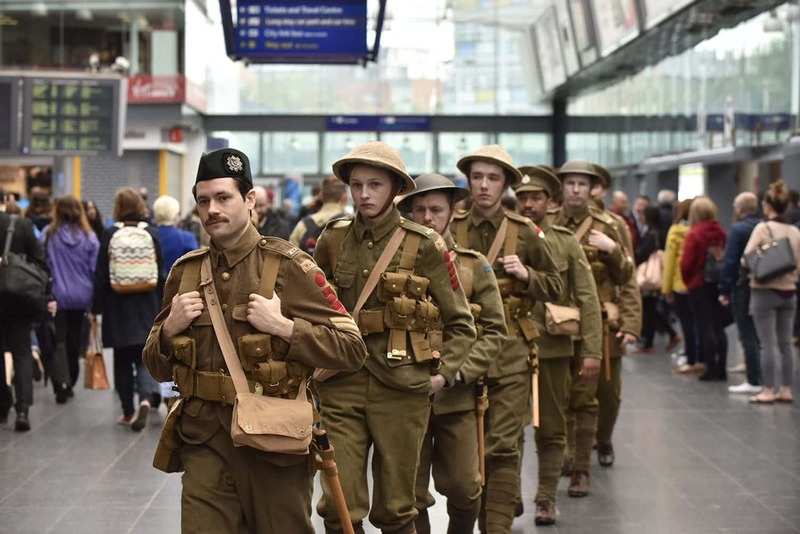 The project hashtag #wearehere trended on Twitter throughout the day, with over 77,000 Instagram posts and counting. Add your experience to the project by using #wearehere.